The ring Wooden Gift Box has a pad specifically designed to secure and protect your baby ring, usually consisting of a set of strips of flannel sponge pads. In addition to placing the ring, it is also a good choice for cufflinks or earrings. 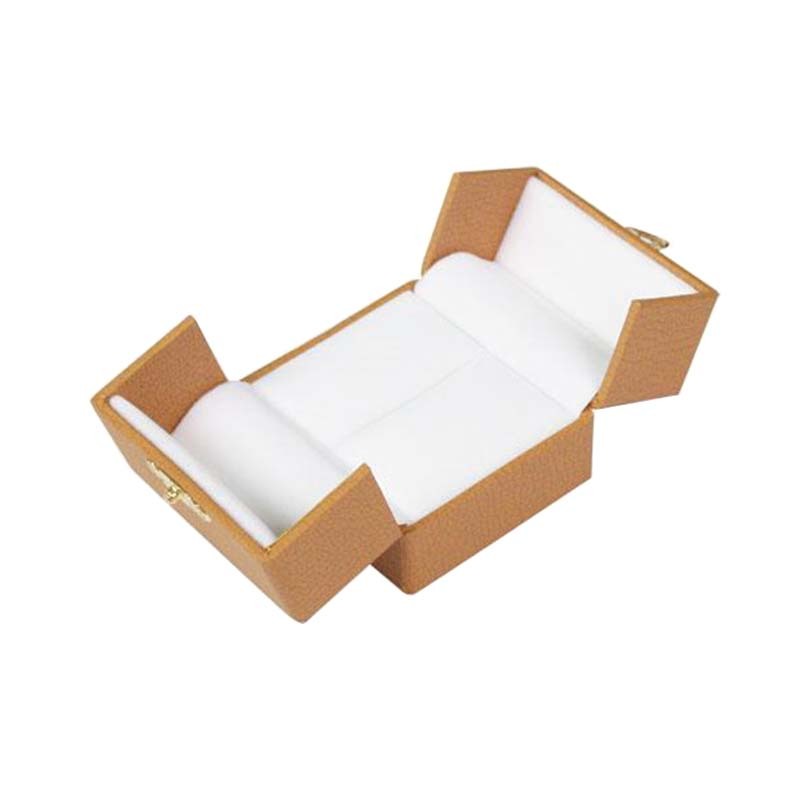 High-grade ring woodeng Gift Box with white flannel can protect your baby. The unique design of the ring wooden gift box, as a category in the packaging of goods, in addition to its basic function of packaging, that is, to complete the protection of goods, to convey product information, to promote goods, but also to convey the emotional exchange of information between people, Enhance the positioning of gifts, it is the bridge between the system of human emotional communication and the friendship. The exquisite and unique exquisite ring wooden gift box is designed for each company to package the products for various festivals, so the gift box is very important for product value-added and sales. People rely on clothing, beauty depends on bright makeup. All kinds of products are the same, in addition to the need for good quality, but also need to have a tasteful and exquisite packaging, especially in the brand era, stylish ring wooden gift boxes and outer packaging in addition to It stores the role of keeping fresh and moisture-proof, and it is more beautiful and beautiful. Looking for ideal High-grade Ring Woodeng Gift Box Manufacturer & supplier ? We have a wide selection at great prices to help you get creative. All the The Ring Wooden Gift Box are quality guaranteed. We are China Origin Factory of Exquisite Ring Wooden Gift Box. If you have any question, please feel free to contact us.